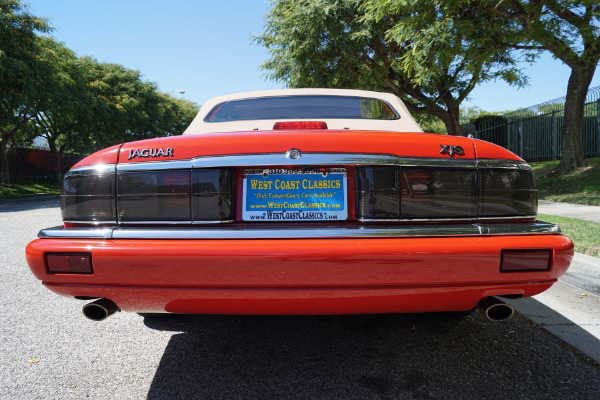 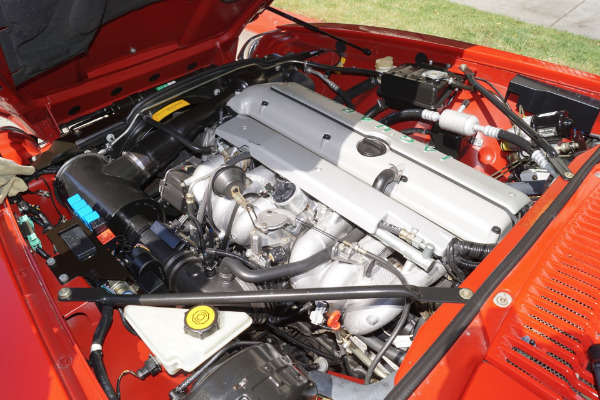 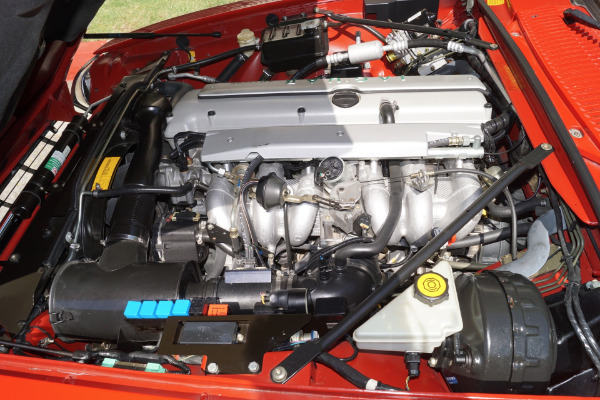 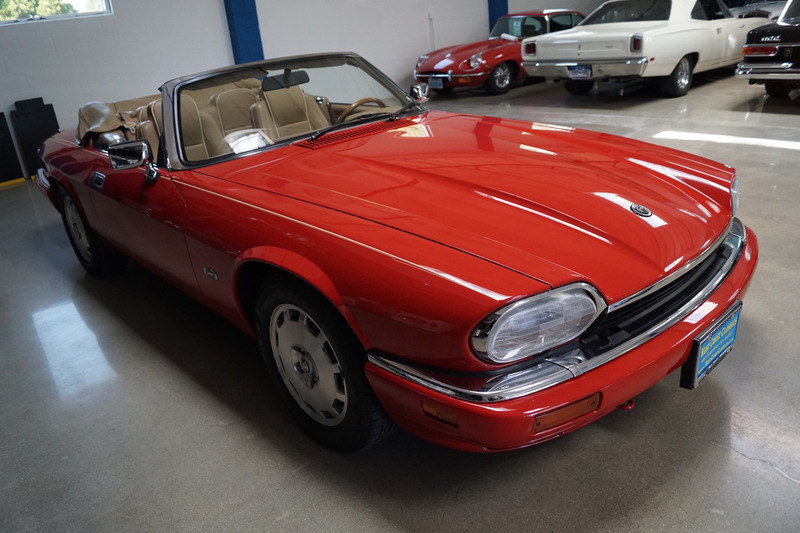 West Coast Classics are proud to present an absolutely exceptional and extremely rare and increasingly collectible last ever year of production example of this classic 1996 Jaguar XJS 4.0L 6 cylinder 2+2 roadster with only 11K (yes, eleven thousand!) 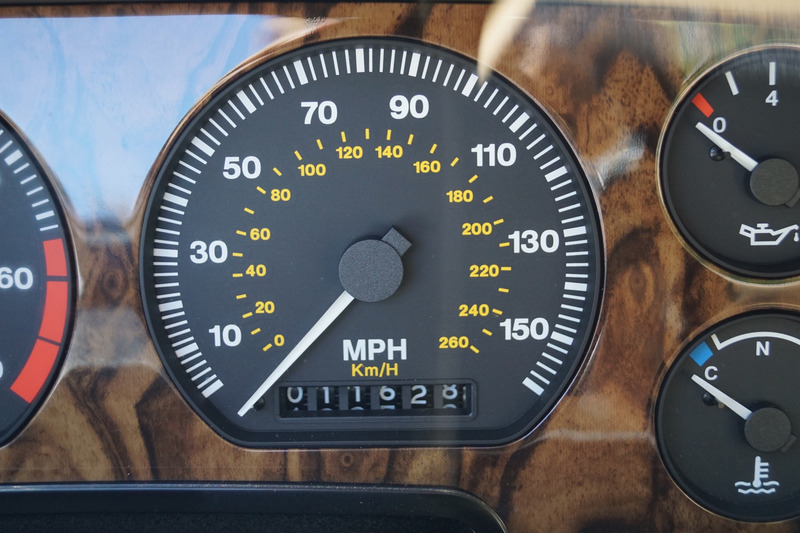 original miles! Gorgeous and very desirable color combination of original factory 'Signal Red (Code CFC) color paint with a beautiful condition 'Coffee' color factory canvas power soft top and with a beautiful doeskin 'Coffee (Code SDC) leather interior and matching tonneau cover. This particular car must be seen to be truly appreciated! 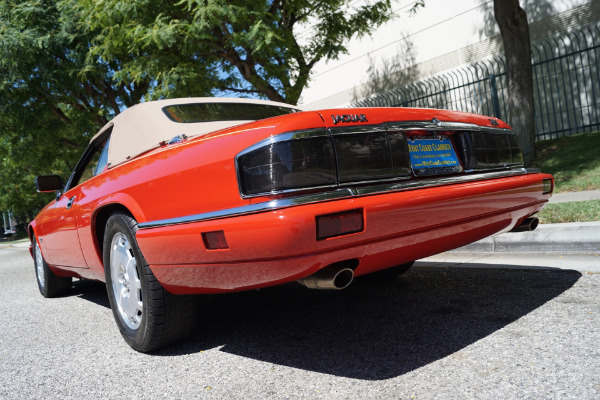 A real head-turner! Obviously always garaged with no history of any accident damage whatsoever with all original factory parts and a clean CARFAX report - never abused, babied all the way! 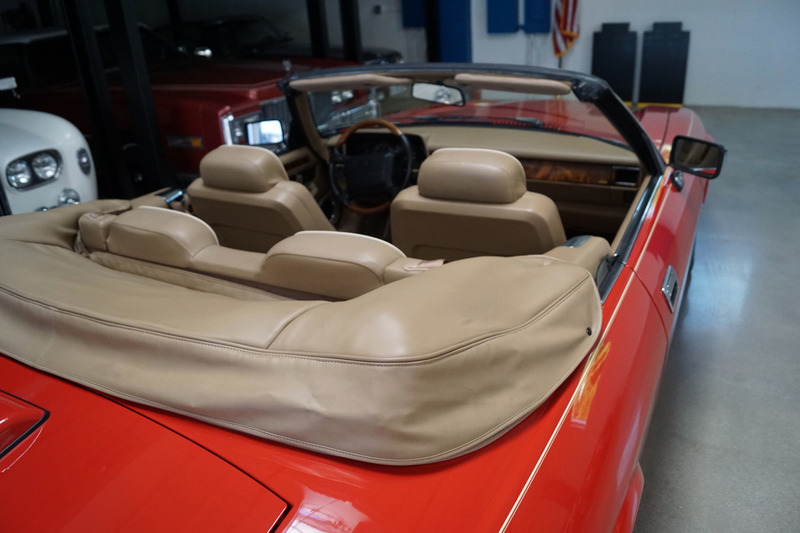 The original factory 'Signal Red' color paint is in stunning condition and it is probably one of the most striking colors that these cars were ever built in. 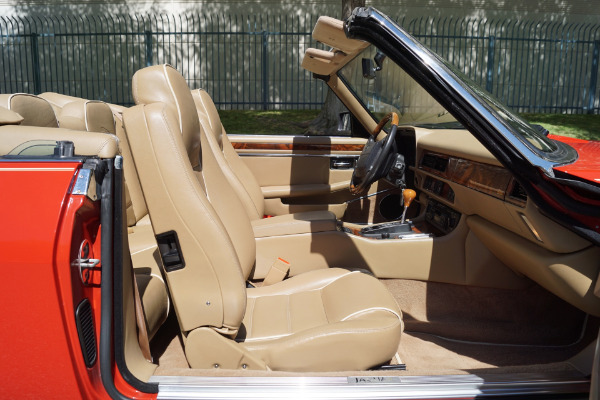 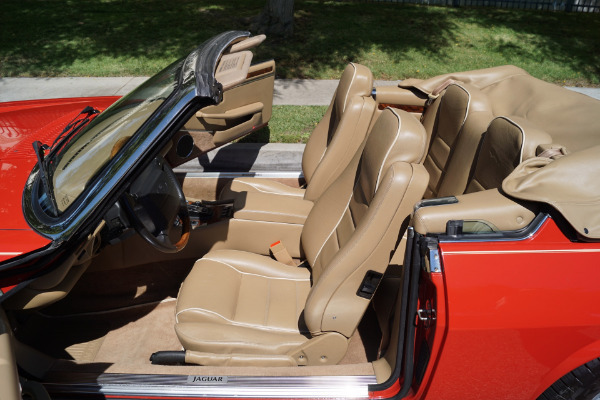 The original Coffee color leather seats with 'White' piping are also in outstanding condition with virtually no signs of any wear and there are no flaws in the dashboard or the walnut veneer, the door panels or the carpets. 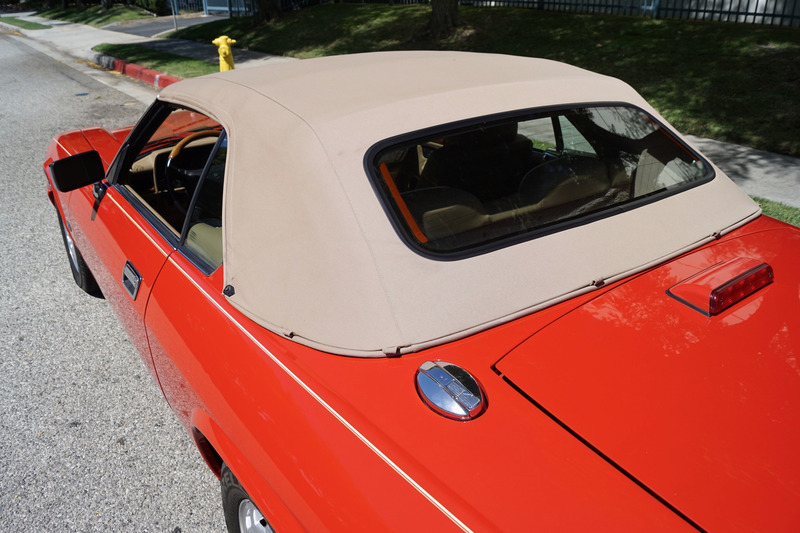 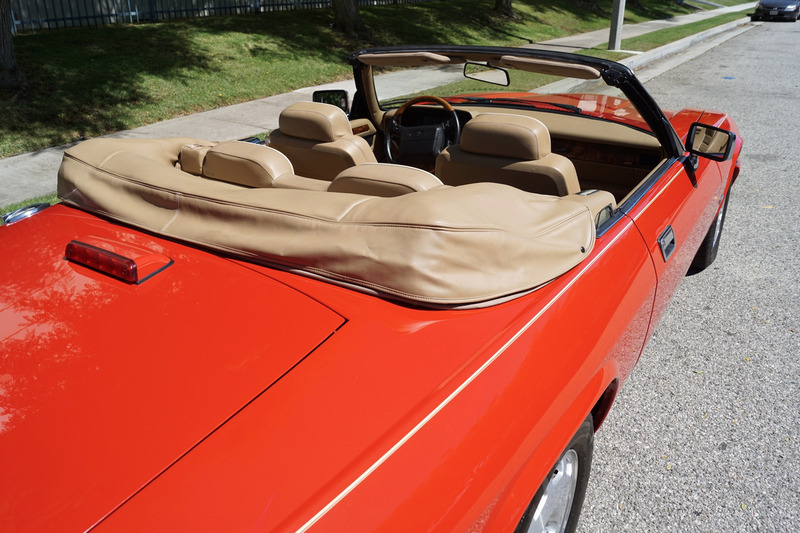 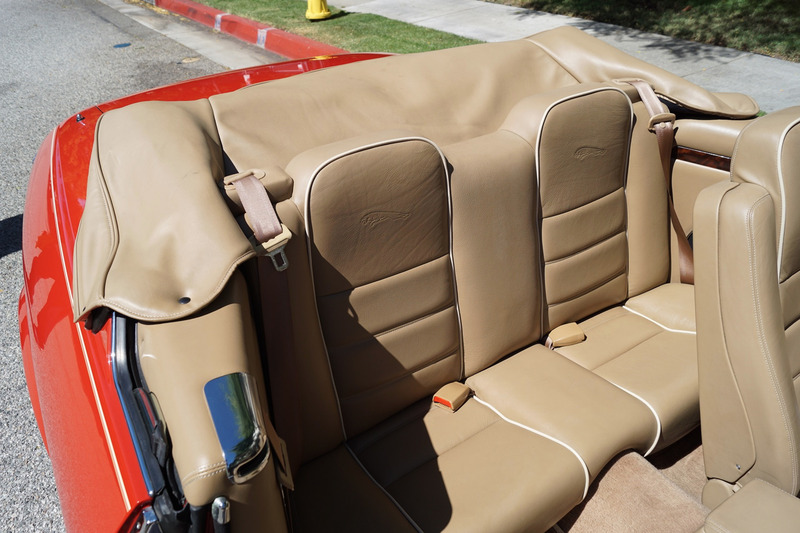 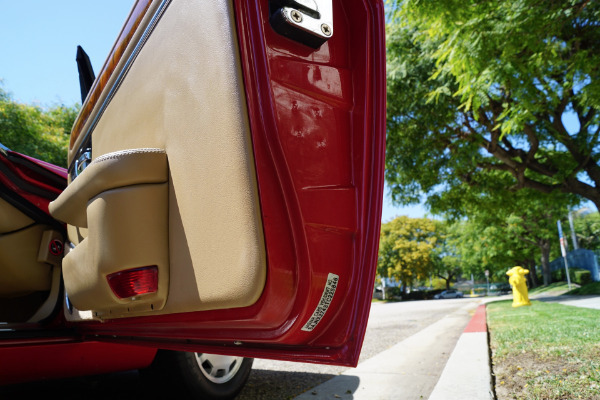 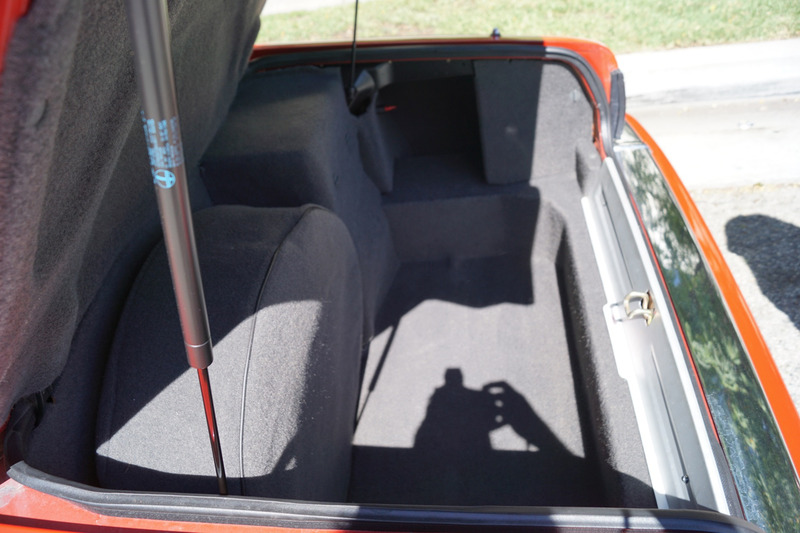 The matching 'Coffee' color soft top is also in exceptional and all original condition. 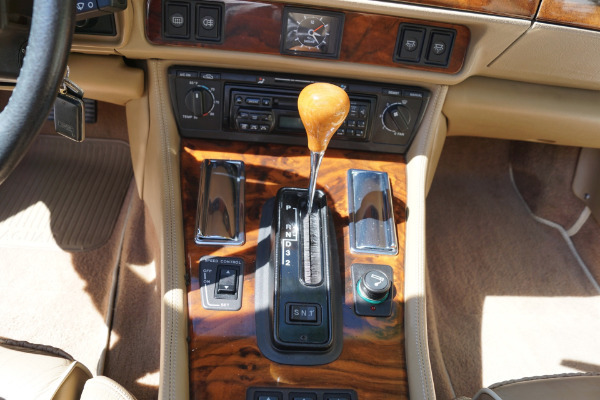 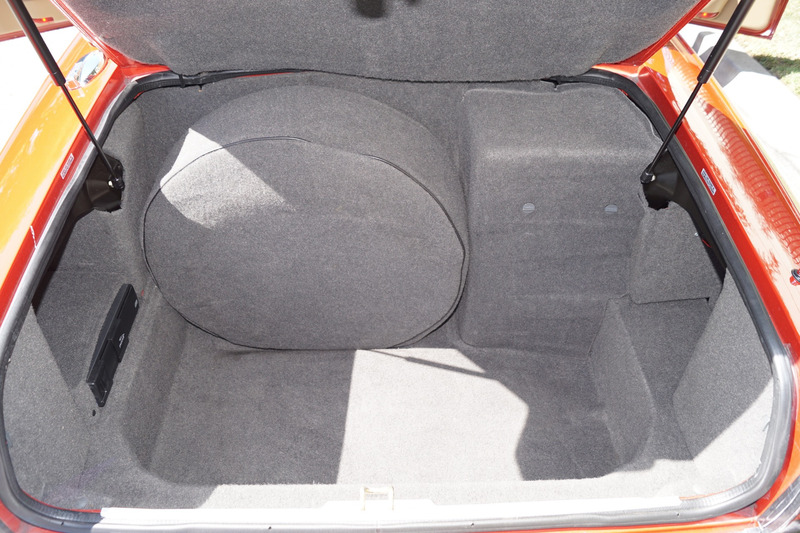 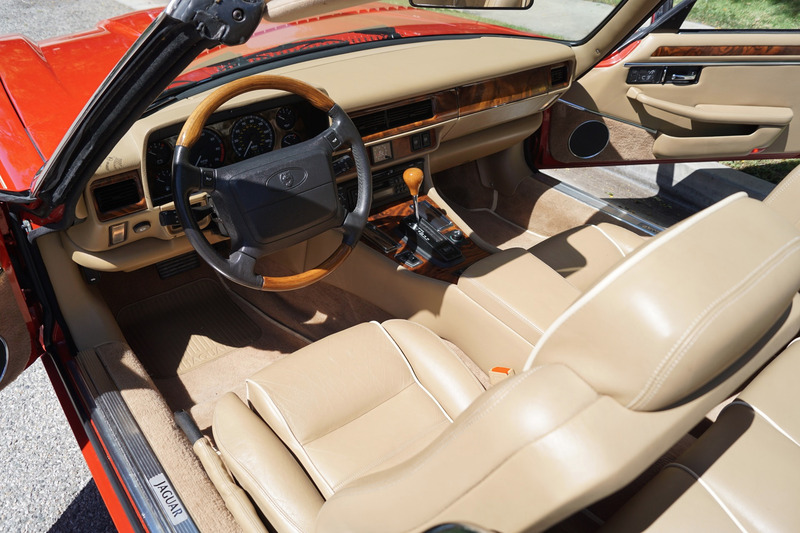 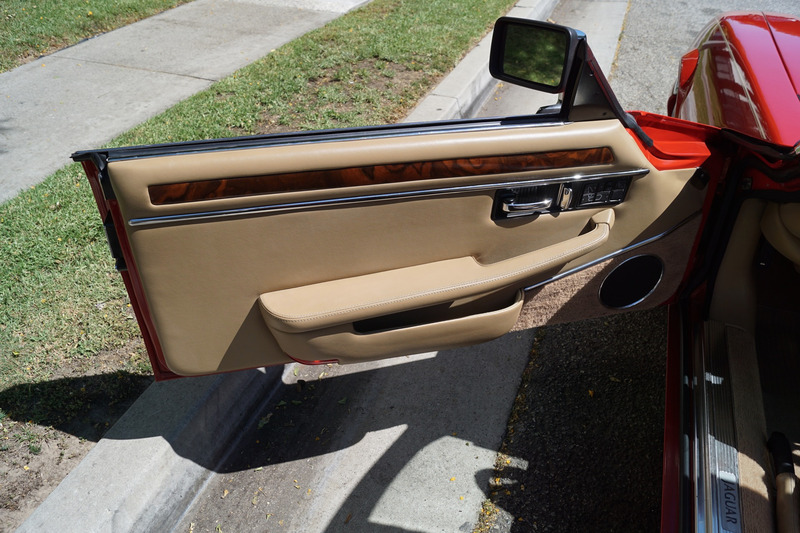 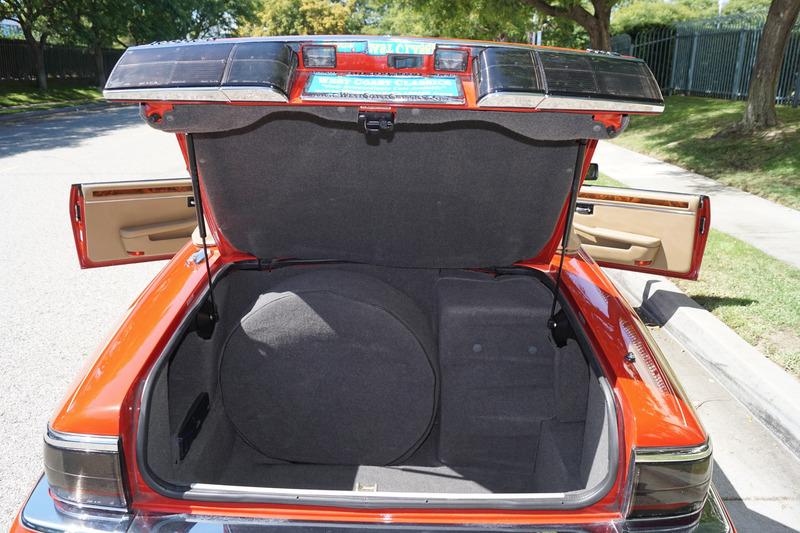 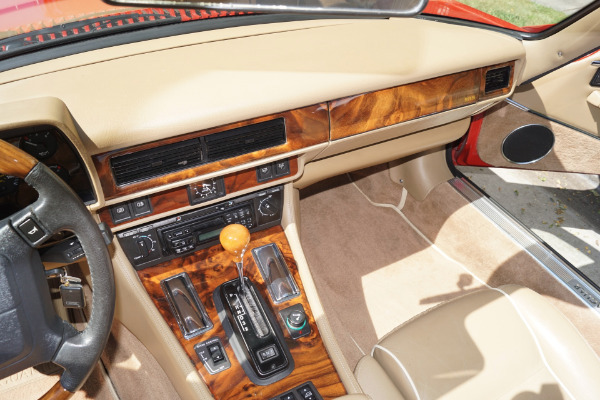 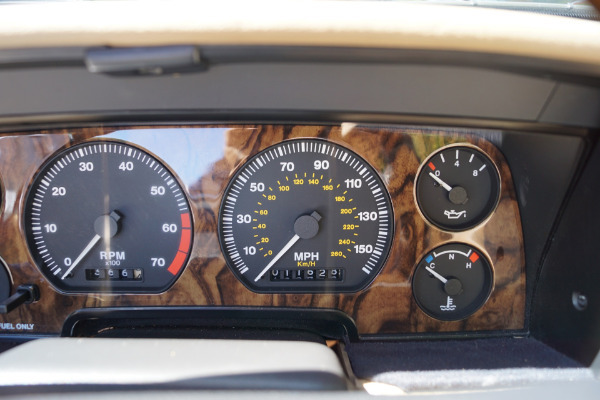 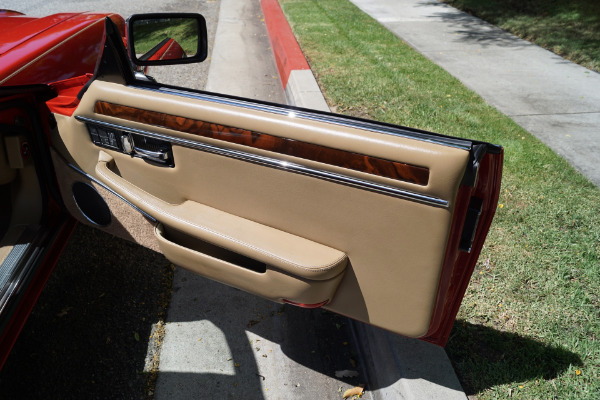 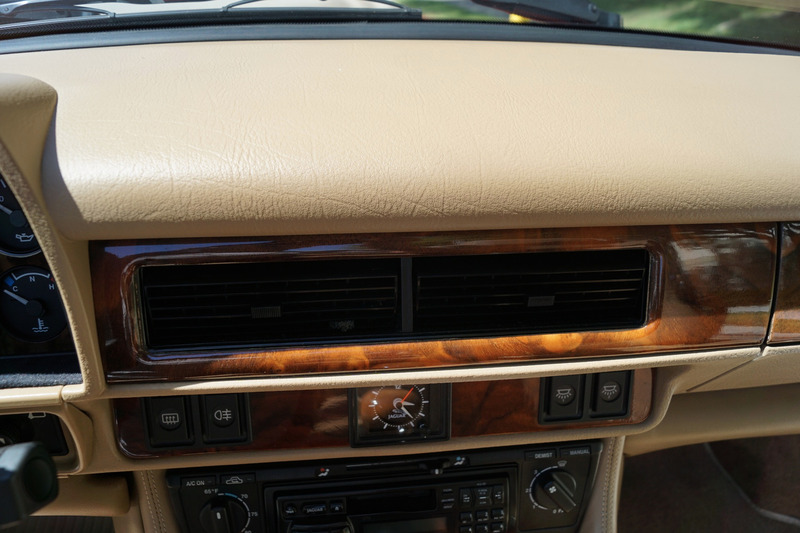 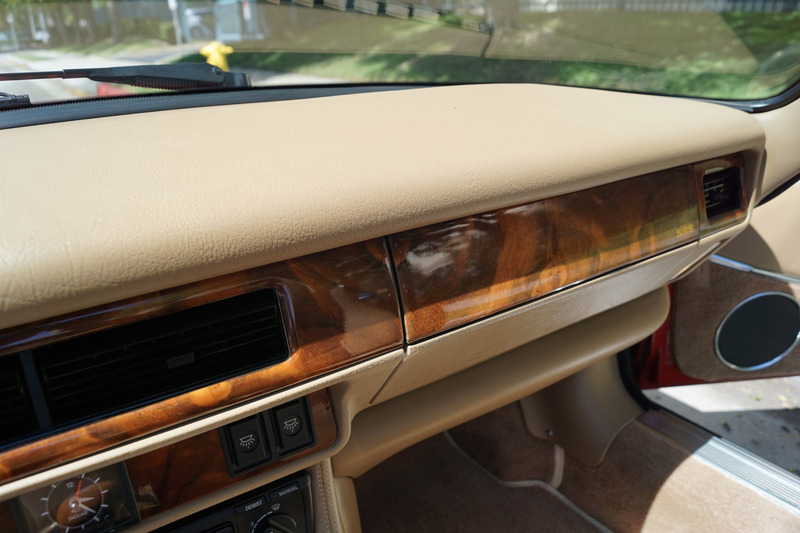 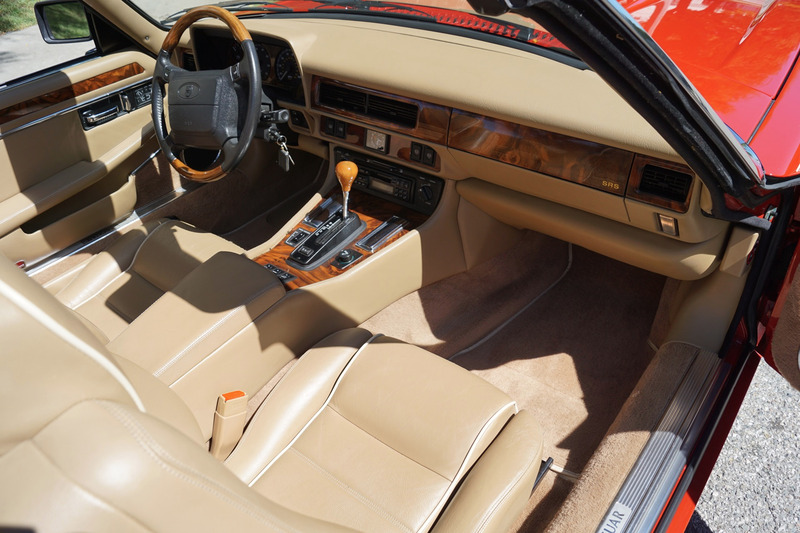 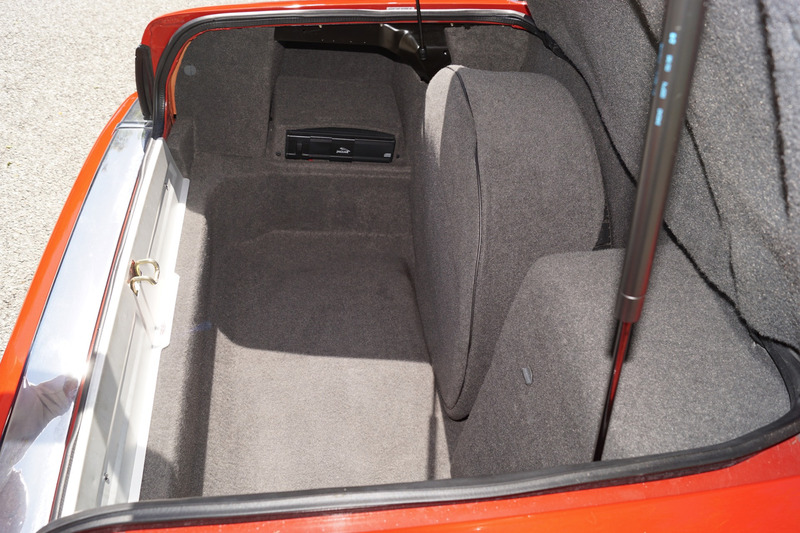 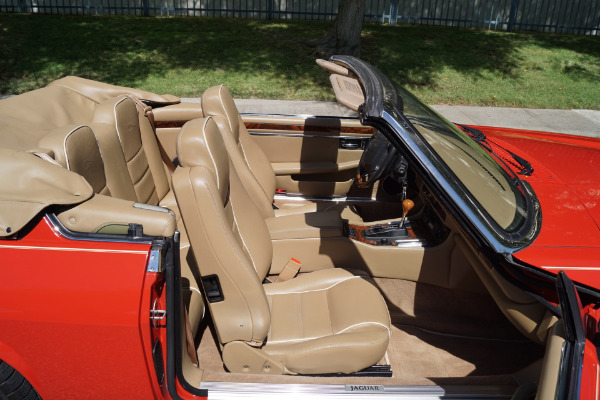 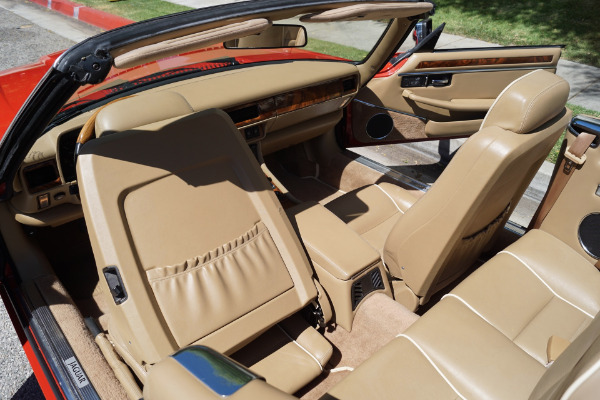 The interior is also completely original with it's 'Jaguar' radio/cassette stereo system with a CD changer in the trunk and all the options and gauges are working as they should including the ice-cold air conditioning. 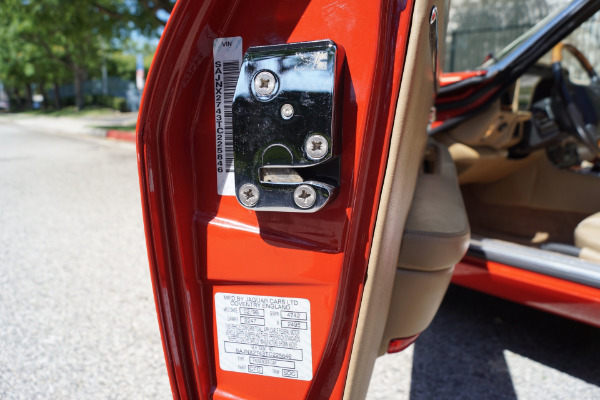 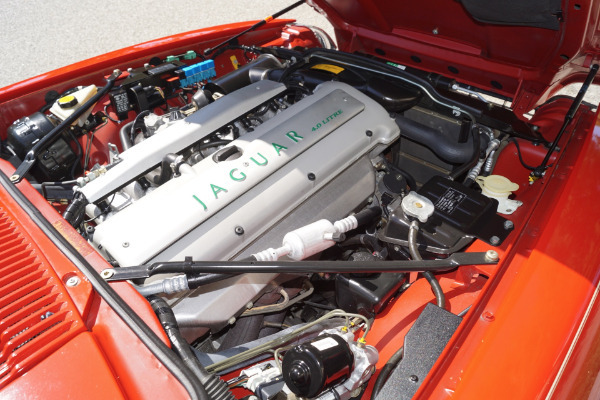 The car was purchased by only it's second owner after it's original owner traded in the car to Alpine Jaguar' of Ft Lauderdale, FL with only 6,179 original miles in 2002. 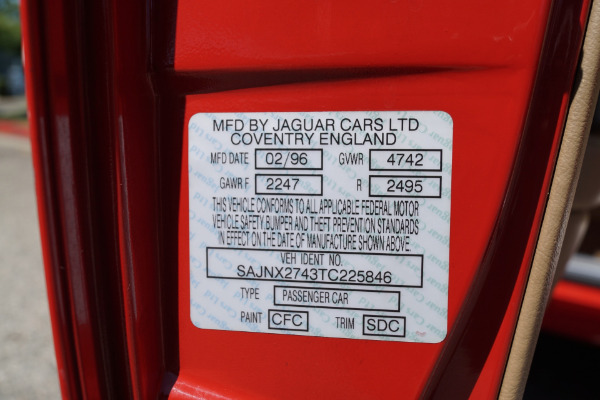 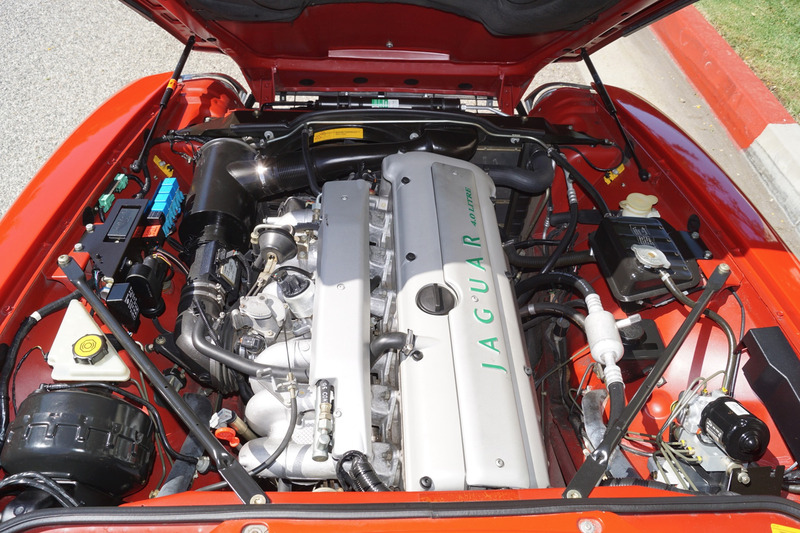 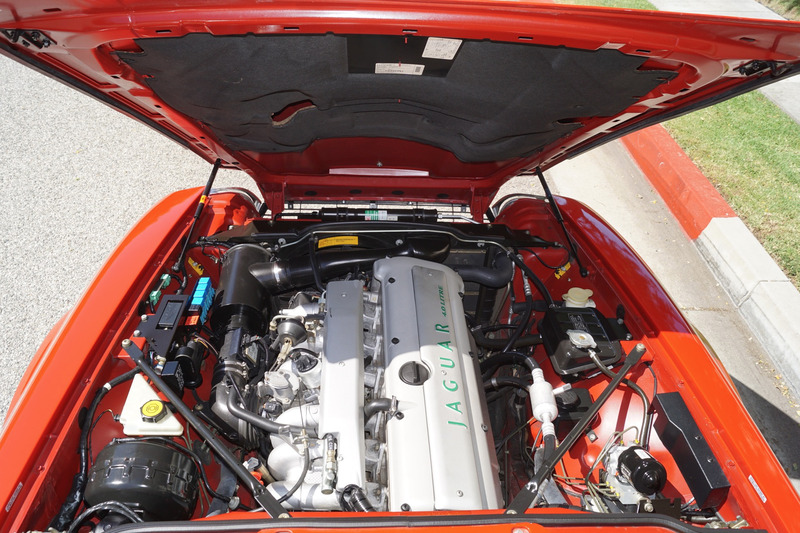 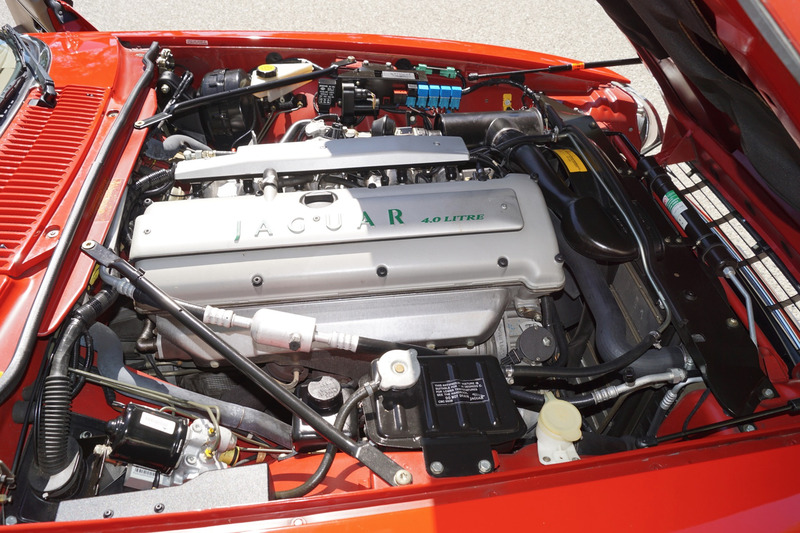 The car has always been well maintained and serviced as required and suggested at primarily Jaguar dealerships or independent specialists since new; originally at 'Alpine Jaguar' and in recent years at the renown 'Jag repairs' of Pompano Beach, FL; with a recent full service having been completed at 11,295 miles. The car will be sold with its original owners manuals and dealer service booklets and service records. The engine is extremely strong and smooth running with excellent oil pressure and which does not burn or leak oil. The temperature always remains cool and the car drives exactly like a virtually still new Jaguar with such low miles should - no shakes or rattles - very smooth and powerful - must drive the same as when it left the showroom floor over 20 years ago! This must be one of the finest and certainly lowest mileage examples available anywhere of this classic and increasingly desirable and collectible last year of production for the Jaguar XJS - therefore proving a very collectible investment in probably the last classically beautiful design built by Jaguar in their long and famous history of classic lines - a sure-fire classic car investment for the Jaguar enthusiast or simply 'pride of place' in any astute classic car collector's collection! 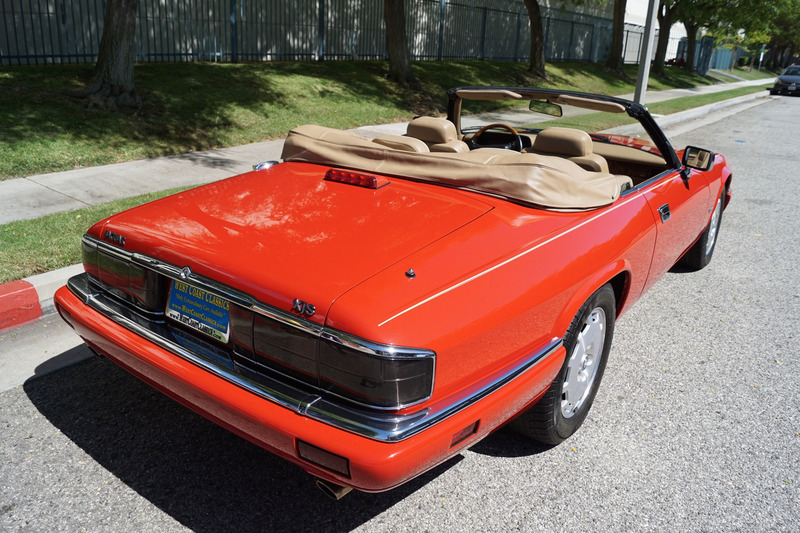 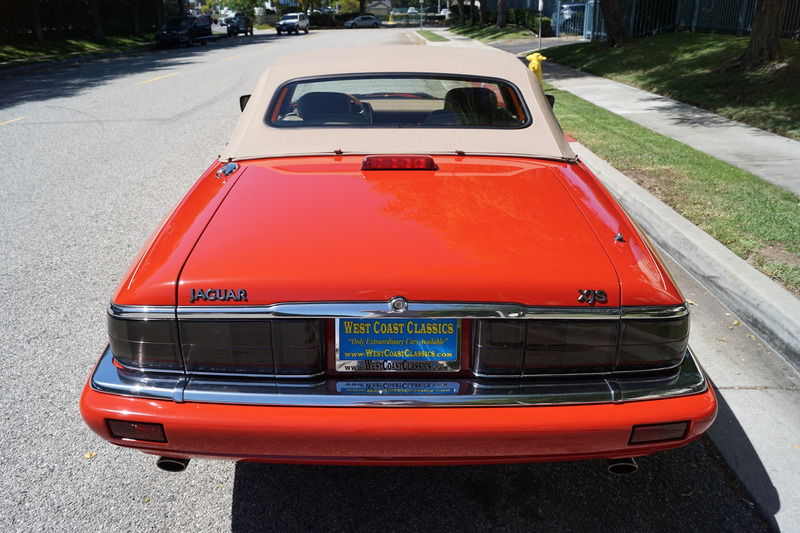 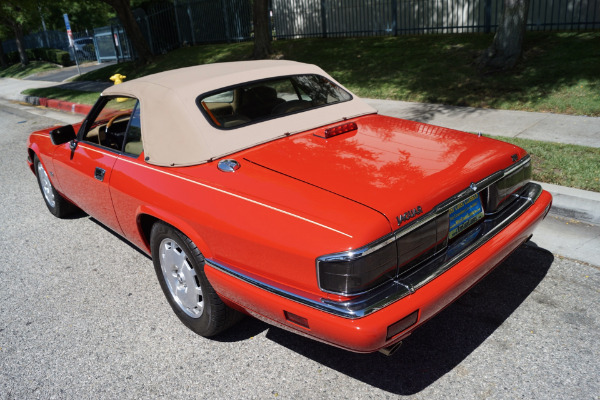 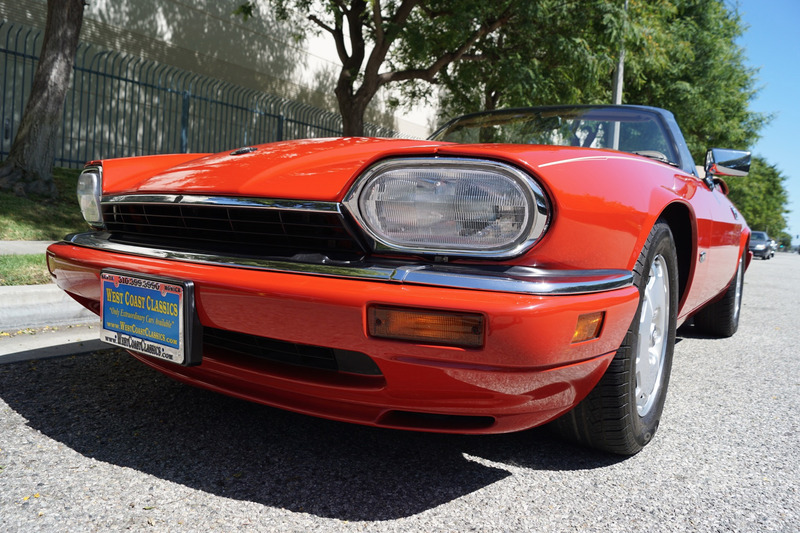 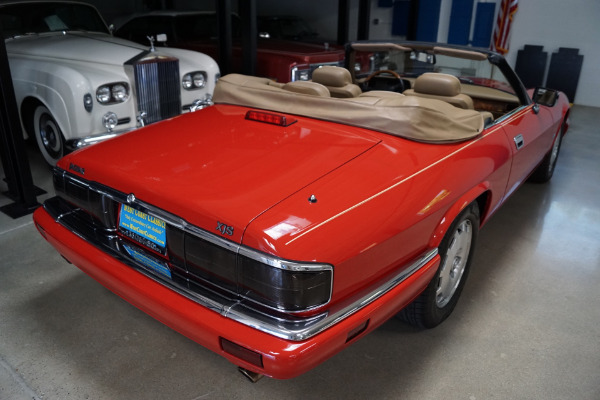 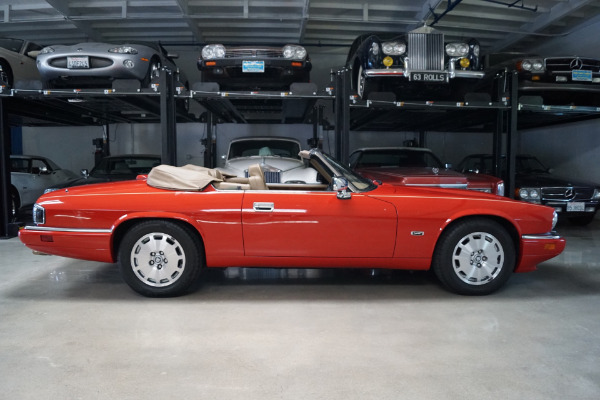 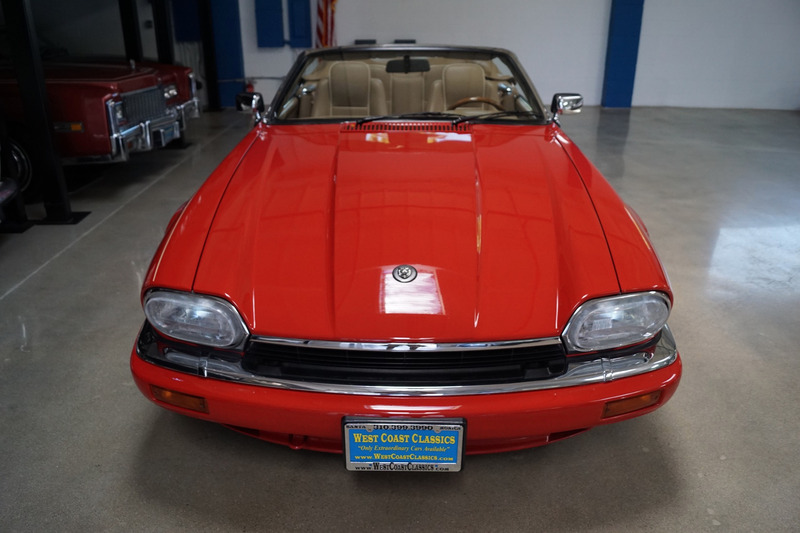 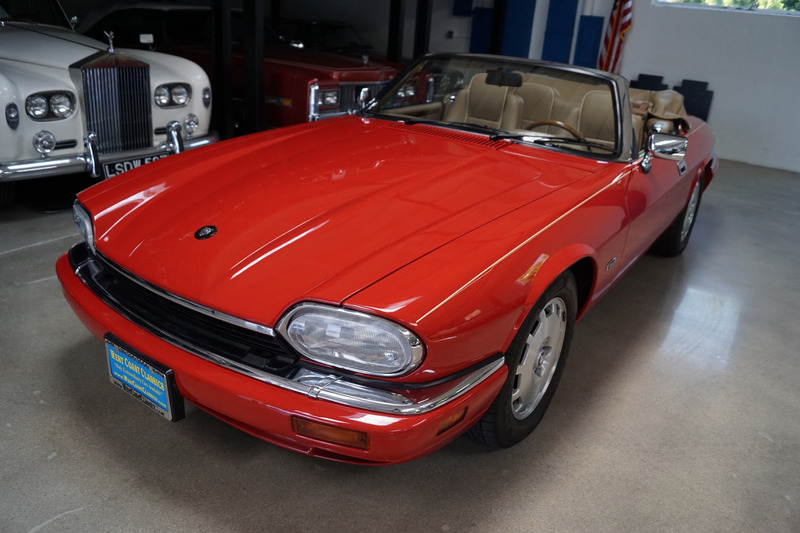 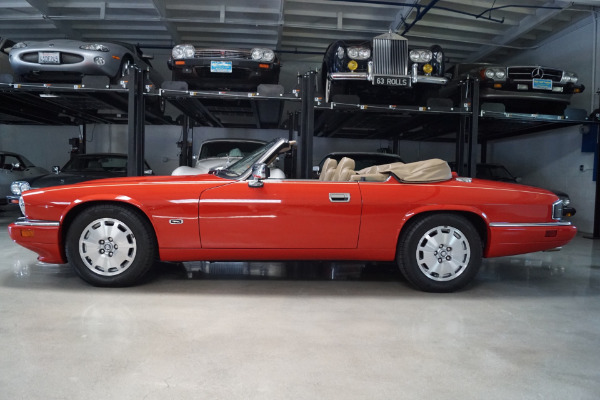 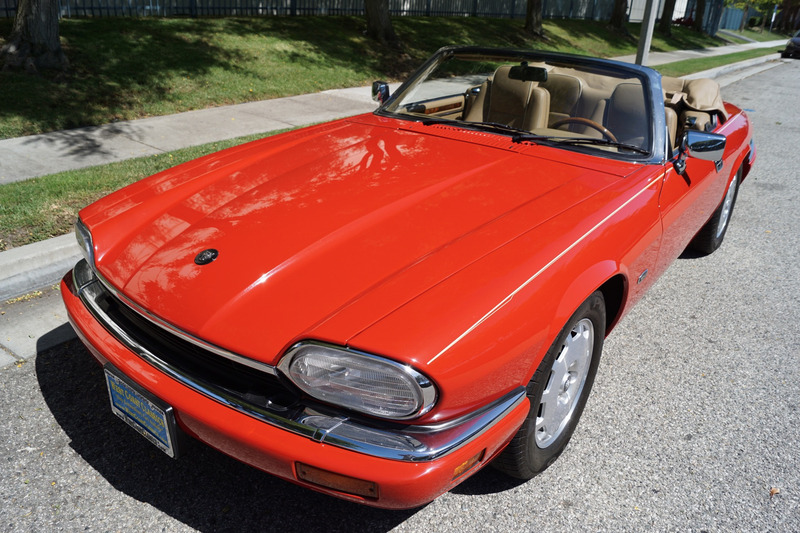 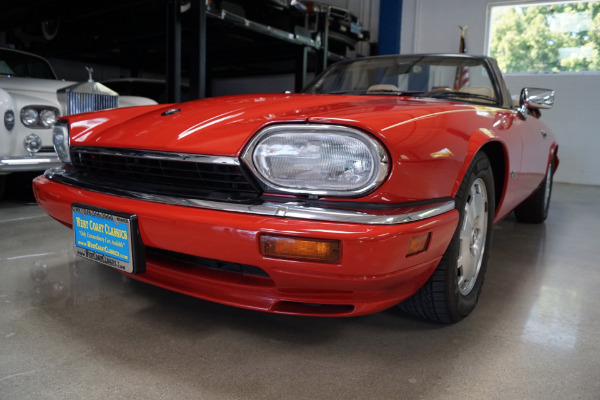 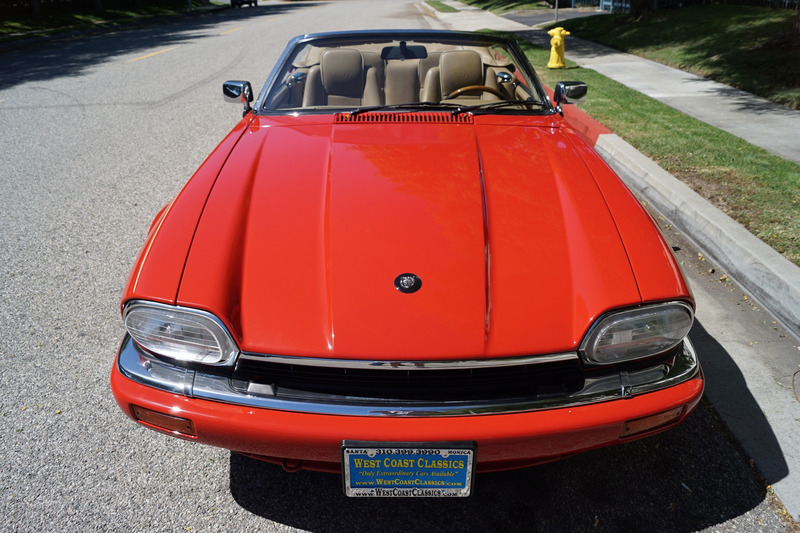 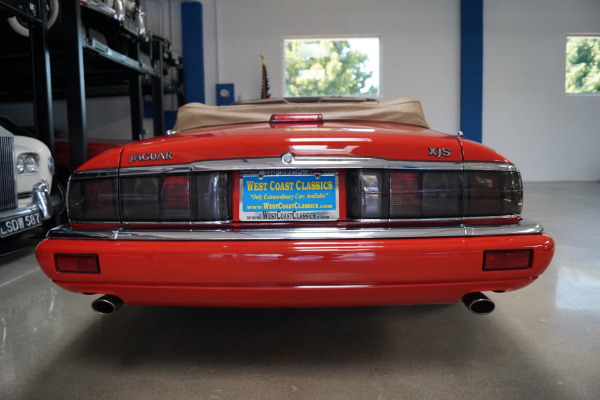 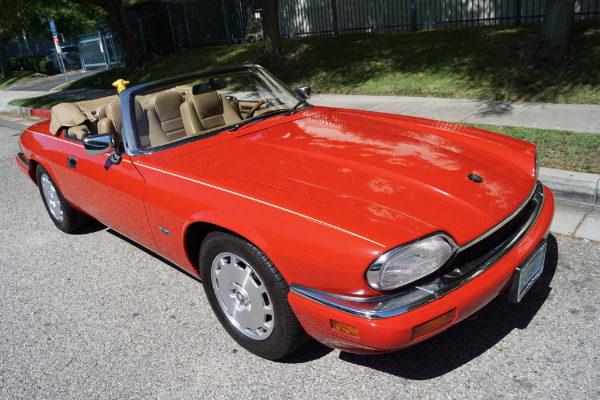 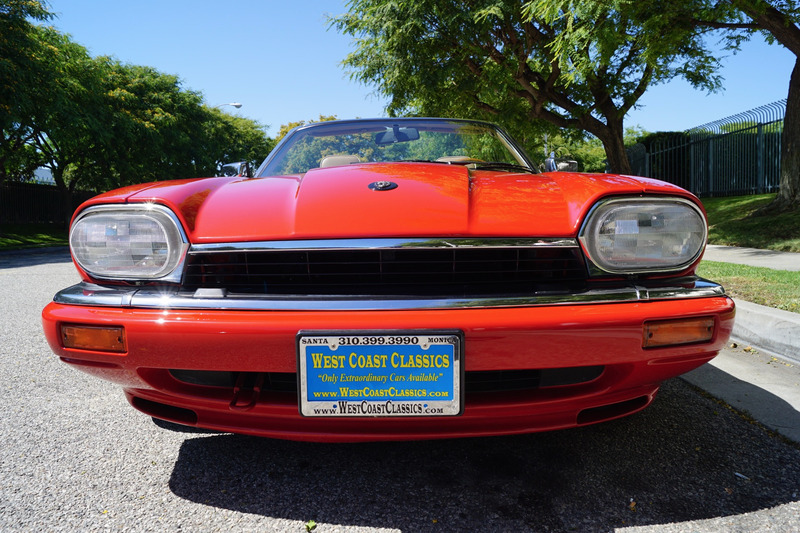 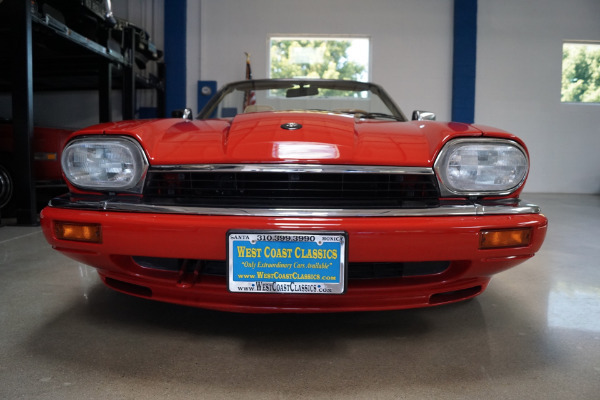 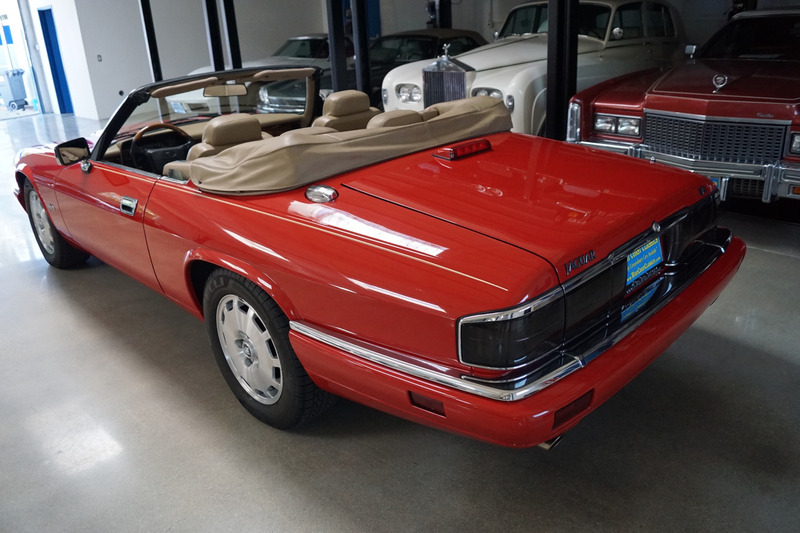 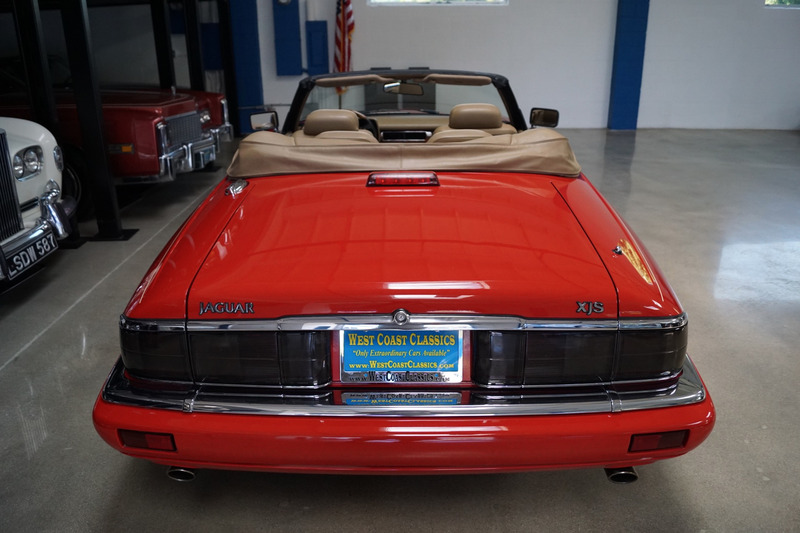 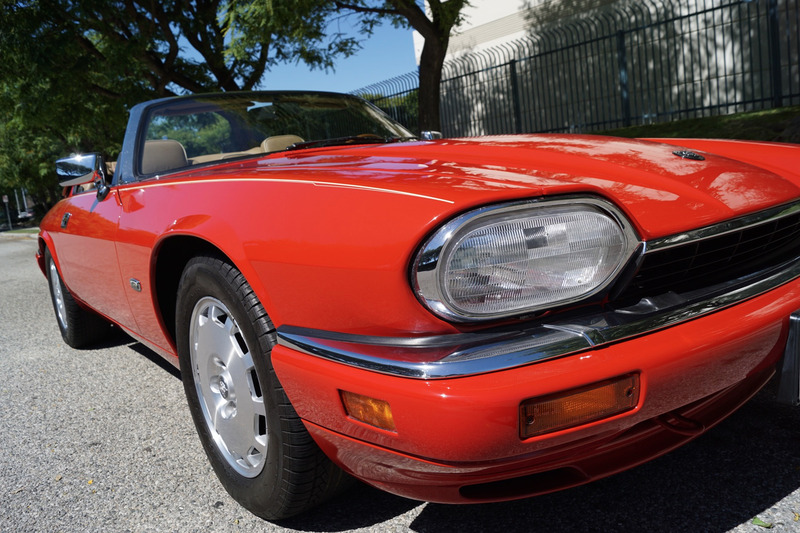 You will certainly look long and hard to find a finer example of this obviously always garaged and accident free last year of production classic Jaguar XJS convertible with only 11K original miles in this most striking of color combinations available anywhere else.